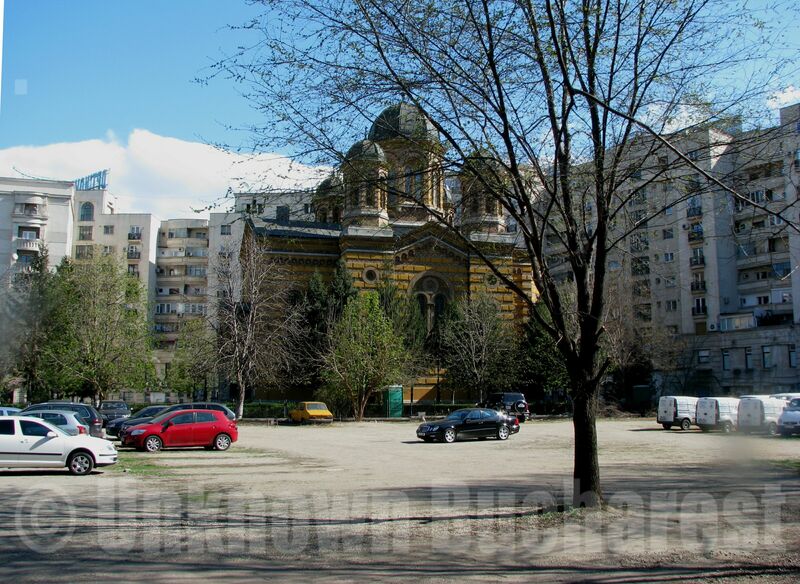 This is the maximum visibility for Sf Ioan Piata (“St John-In-the-Market”) Church in central Bucharest, Unirii Square. The 18th century religious edifice, which was moved 23 meters backwards, was then obscured by the newly built apartment building on the right. In 1977 Bucharest was struck by a devastating earthquake whose consequences were to affect the city in an unexpected way: the cataclysm was used by the totalitarian regime as a pretext to launch a large urban reorganization project, intended to replace the old “decayed” city with a new socialist-type one. It is significant that the Historical Monuments Commission was disbanded soon after the earthquake. The nucleus of the project was going to be a large representative building, conceived to host the presidential family along with several state institutions, and a 3km long, wide boulevard lined with high-rise apartment blocks -the new Civic Center. All this assemblage, in fact a perennial symbol of the communist political power, would be realized in central Bucharest. Thus, at the beginning of the 1980s started the most massive demolition operation Bucharest has ever undergone. One fifth of the total built area of the old Bucharest disappeared and around 50,000 inhabitants were displaced from their homes, a tragedy yet not forgotten. 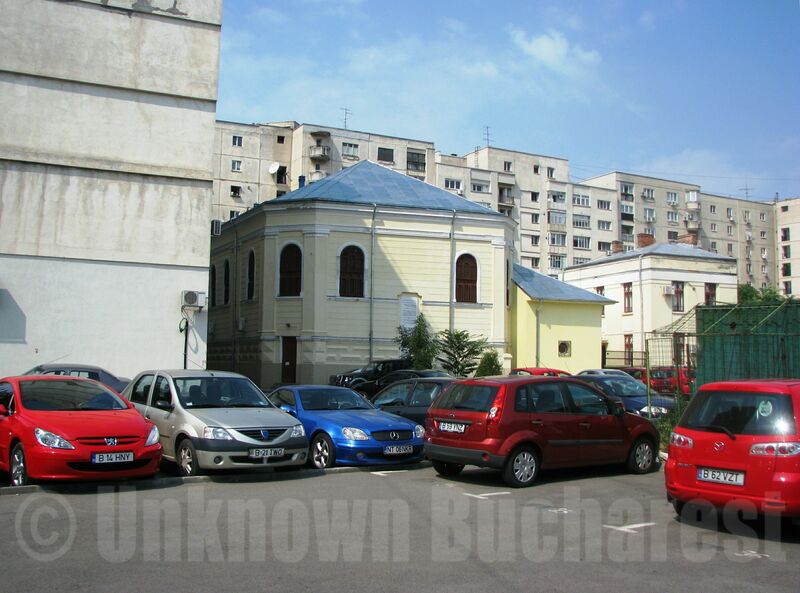 Domnita Balasa (“Princess Balasa”) Church, one of the most beautiful churches in Bucharest, behind a “curtain” of apartment buildings and next to a wasteland turned into a parking. It is difficult for a incidental visitor to find this church, despite it being in the very center of the city, right next to Unirii Square. The Arsenal Hill, the city’s most secure location against earthquakes, was chosen as the site of the future House of the Republic. The old Uranus neighborhood lying on the hill was entirely demolished, and the hill itself, the highest in Bucharest, was flattened to make space for the huge House and the area around it. Picturesque sloping streets, archaeological vestiges (among them, an ancient Geto-Dacian site 3000 year old), old churches and low-rise houses surrounded by gardens, have all vanished. The 400 years old Mihai Voda Church and its Belfry were moved away from the hill, while the precinct buildings sheltering the State Archives were destroyed. View toward the Boulevard and the actual Parliament Palace, sometimes known as Ceausescu’s Palace, the former House of the Republic. 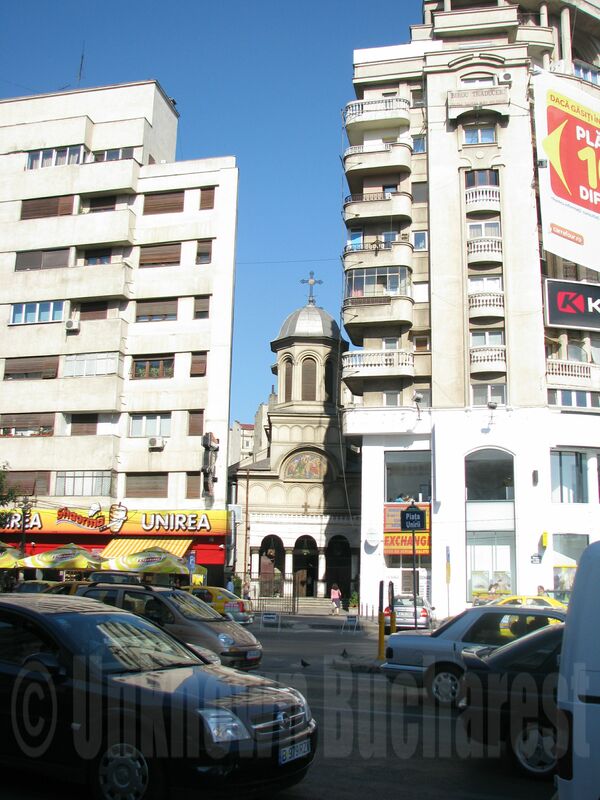 High rise apartment buildings emerged at the foot of the Patriarchy Hill, altering its perspective and deliberately annihilating the symbolic presence of the Patriarchy Church in Bucharest’s historical center. In the same area the Brancovan Hospital, built in 1835, a valuable historical heritage building, a imposing presence and home of a high class medical institution, was pulled down. On the left bank of the river, an area of distinct character was also levelled to the ground, being among the most affected parts of the city. Merchants houses and old inns, together with the former Jewish Quarter, reminiscent of the once powerful Jewish community, with its synagogues and temples, were torn down. The Great Polish Synagogue visible only from behind, after the main façade view was blocked by a row of eight-story apartment buildings. The Jewish Theater “Baraseum” reminiscent of the former Jewish Quarter, alongside a wasteland resulted after demolitions. The over-sized House of the Republic and the new Boulevard aggressively altered the scale of the city, marking it for ever with the symbol of totalitarianism. 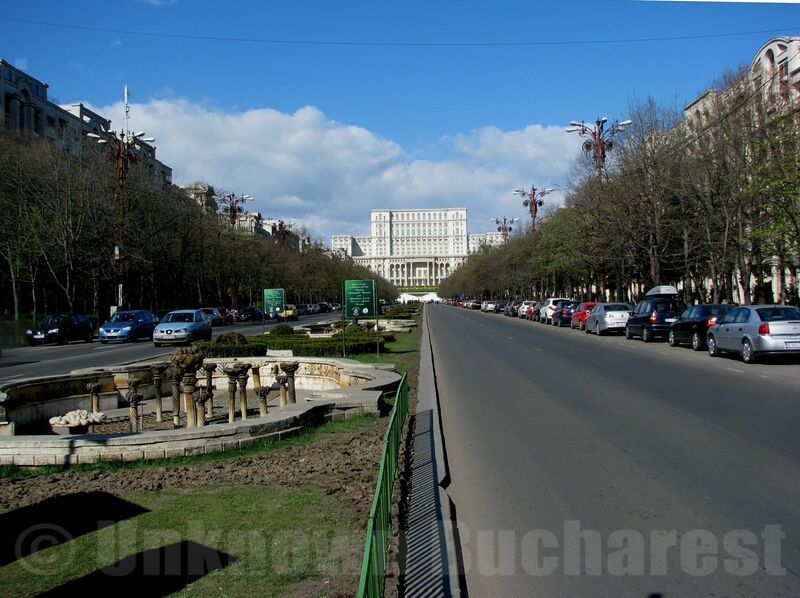 Behind the continuous string of apartment buildings lining the Unirii Boulevard (previously named “Boulevard of the Victory of Socialism”), broken ends of streets, fragments of the old quarters, wastelands and churches transferred from their original site in disorganized spaces, make up the most telling image of the damages Bucharest has suffered in the last decade of the communist regime.